 Macomb County Planning and Economic Development is helping fuel our region’s talent pipeline by engaging directly with businesses and the next generation of our local workforce. Our approach is collaborative and community-driven. We work one-on-one with area employers to learn about their talent needs and connect them to the tailored resources currently available to support business goals. Through relationships with schools and affiliates, we identify and pursue opportunities to develop initiatives that expose students to career possibilities and point them to educational pathways that lead to meaningful employment. This includes our partnership with The Academies at Romeo, which was recently designated the first Ford Next Generation Learning community in the state. Our goal is to connect administrators and teachers with business partners that will help better prepare students for professional and personal success in today’s competitive global economy. On-Campus Experiences – Create meaningful interactions with students and teachers by sending employee(s) to campus to engage in mentoring, guest speaking, hands-on training and/or participating in a career fair during the school day. Off-Campus Experiences – Expand career pathway and industry knowledge by integrating students and/or teachers into your business through job shadows, student internships, teacher externships and/or worksite tours. Project/Event-Based Experiences – Support collaboration across levels of expertise by encouraging your employees to work with students and/or teachers on a project and/or event basis with pathway-focused extracurricular programs and initiatives including Lego League, FIRST Robotics Competition, Science Olympiad, Manufacturing Day and/or Career Exploration Day. Leadership Experiences – Help career and technical education succeed by providing your insights and recommendations as part of an advisory board or business roundtables aimed at enhancing specific focus areas. Donations - Provide materials, equipment or other resources for teachers and students to use. Now more than ever, it is important that our young people leave high school career and college ready. We need your help to make that happen. If you are a business interested in helping shape the future of our talent pipeline by getting involved with schools, please complete this form and a specialist will contact you to discuss your options. Are you an employer that would like to get involved?